Washington, DC – The Science March in Washington, DC and its 600 satellite marches around the world are a unified act of defiance against political assertions and decisions void of evidence-based inquiry. The Trump administration has consistently pushed aside critical thinking in its policies to promote “alternative facts” – blatant, nonsensical lies favoring Trump and his cronies’ political agenda. And within 100 days of his presidency, Trump has already committed to shrinking US scientific agencies and defunding many research efforts attempting to solve longstanding global problems like disease outbreaks and climate change. Such ignorant leadership is bound to produce short-sighted policies that will inevitably ruin families, communities, and the entire planet. And when illnesses spread, poverty strikes, and the waterlines rise, poor communities of color are the first to bear the burden of pillaged and polluted land. AF3IRM DC supports the Science March for demanding that governments denounce climate change denialists and other special interest corruptors, and instead champion democratic engagement based on hard facts. But the scientific community still has a lot of work to do in recognizing and dismantling its oppressive, patriarchal roots. 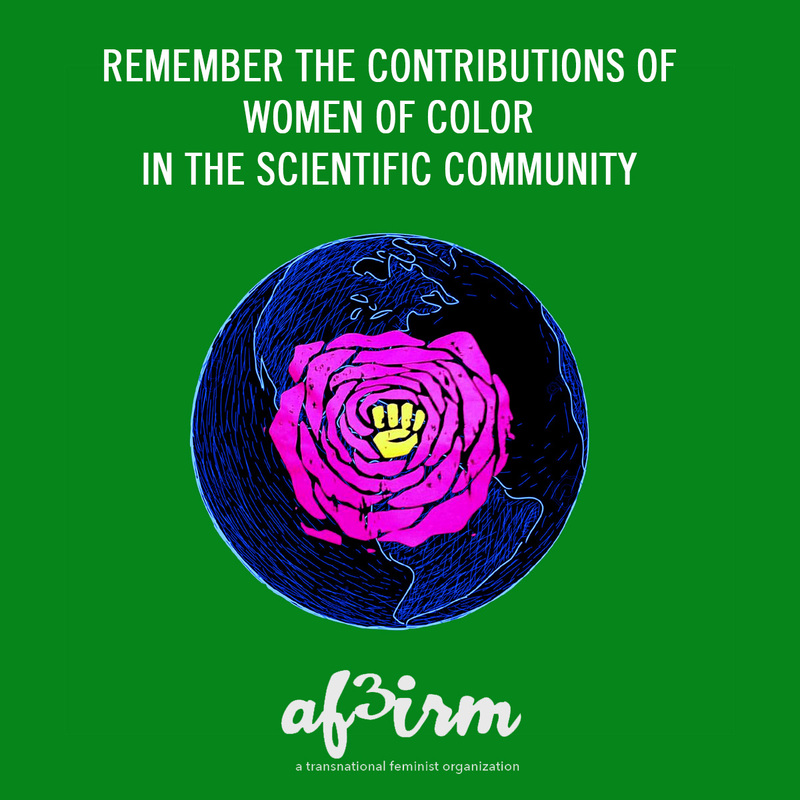 It has systematically ignored and erased the scientific contributions of underrepresented groups, especially women of color. From Bertha Parker Pallan Cody (the first Native American archeologist) to “Flossie” Wong-Staal (the first to clone the HIV virus and develop its complete genetic map) to Betty Harris (invented method to identify explosives in a field environment), women of color have had a steady record of accomplishing scientific milestones. Many people praise the unveiling of “hidden figures” in various fields, using it as an example of how far we’ve come in democratizing and diversifying the sciences. But the world will never know exactly how many women contributed to the foundation of science – too many of their stories have been relegated to anonymity. The scientific community historically has a way of turning discoveries into tools of militarization and oppression. We must never forget the U.S. nuclear tests in the Pacific – totaling 105 tests that resulted to widespread radioactive contamination in many Pacific islands, which continue to affect indigenous lands and public health – which were conducted under the banner of patriotism and scientific progress. While AF3IRM recognizes that not all members of the scientific community approve of the unethical and immoral application of science for war, it is undeniable that this is part of its history. As transnational women, we will always fight against fascist lies that lead to the exploitation and degradation of our planet. We will always stand alongside the truth even when it is devalued by lawmakers and corporations. But we will also serve as reminders that the work is not only about “supporting and celebrating science.” It is also about holding the scientific community to its promises to confront its privilege and pave the way for inclusivity. Previous PostFreedom Dreams: Shadia Mansour & Martha Gonzalez in ConversationNext PostForward to a Feminist Future!